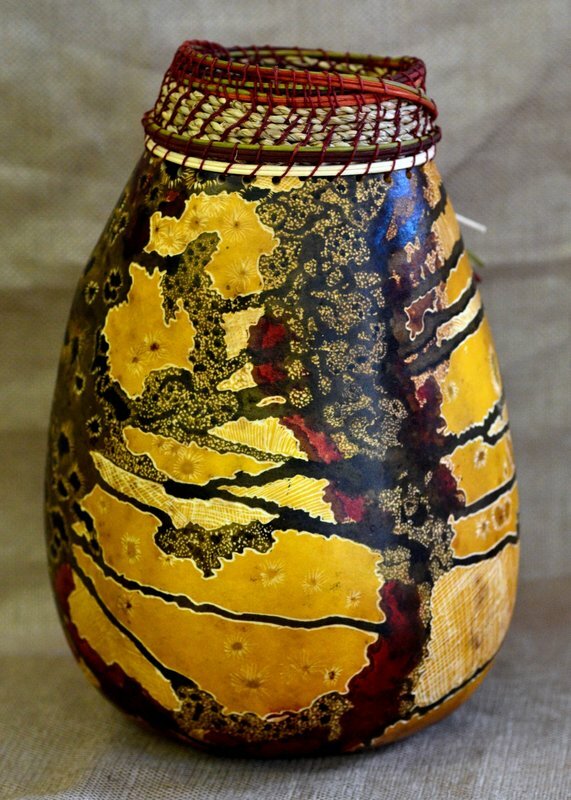 burned, carved, imbedded objects and stones, and painted on gourds for close to ten years – still learning and creating along the way. 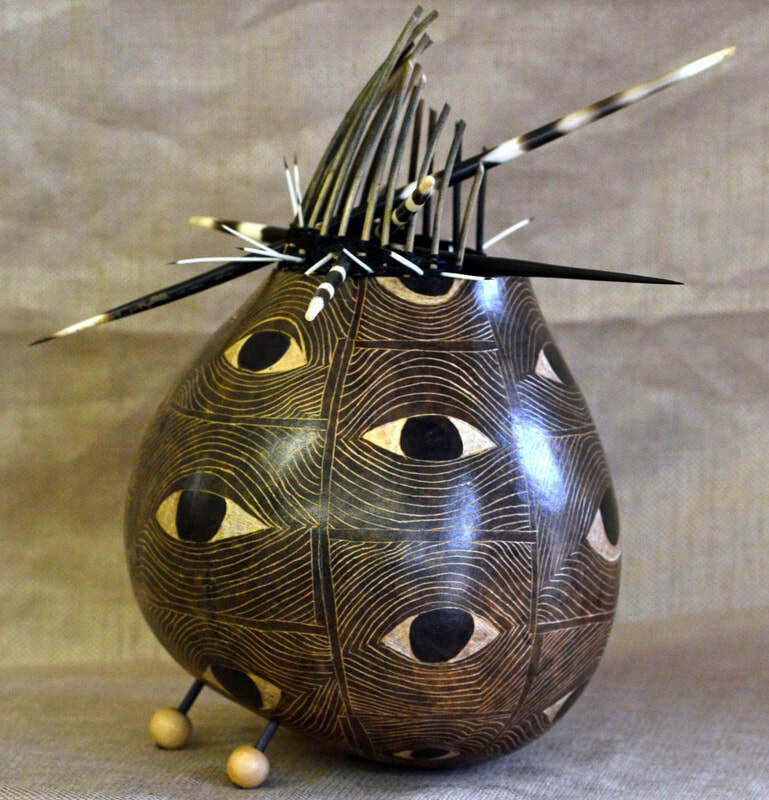 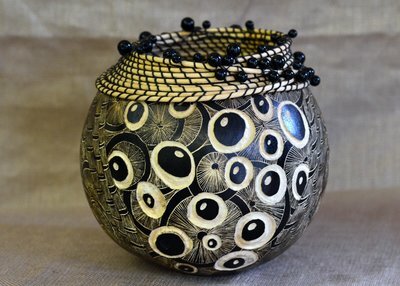 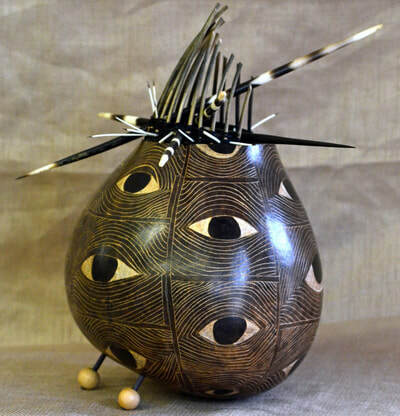 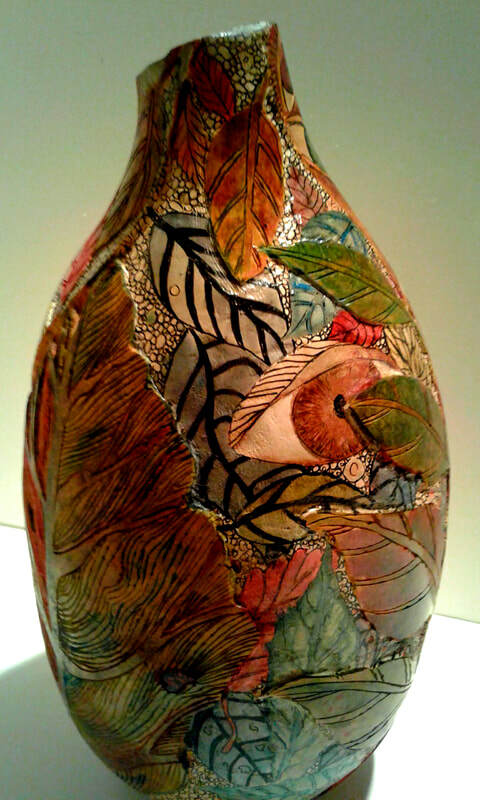 Recently retired from teaching in the public school, I am busy teaching private classes, entering art shows, and discovering the possibilities that lie in the unique qualities of gourd art. 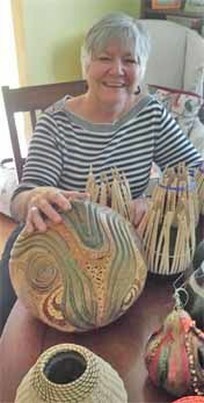 My work can be found in galleries and shops throughout the region and I am a member of numerous art organizations.